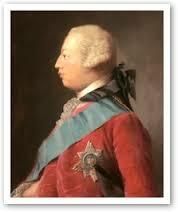 King George III of England is cow-towed! And hog-tied!! Later that afternoon the Duc de Lauzun, French cavalry officer, faced his opposite on the battlefield of Gloucester Peninsula, Lieutenant Colonel Tarleton, British cavalry, as the latter surrendered to him. That night Rochambeau invited the vanquished Cornwallis for supper, but was turned down. He had pled ill and skipped the Surrender Ceremonies as well. The Duc de Lauzun was dispatched to Paris to tell King Louis XVI the good news! And so it went that glorious month of October 1781!!! Who was Jean-Baptiste-Donatien de Vimeur de Rochambeau?